About two years ago we showed spirits in the form of whipped cream. Last year we showed spirits in the form of an ice pop (more commonly known as a popsicle). 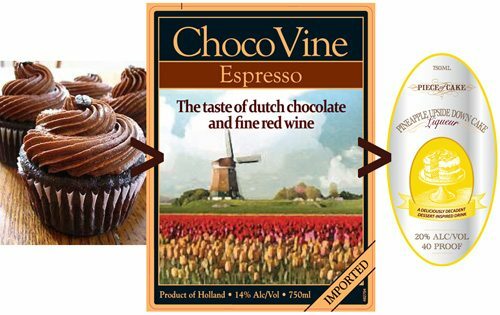 Just last week we showed various chocolate wines, to underscore the movement toward “The Dessertification of Beverages.” Nathan added a comment, asking how long until a convergence between spirits and ice cream. 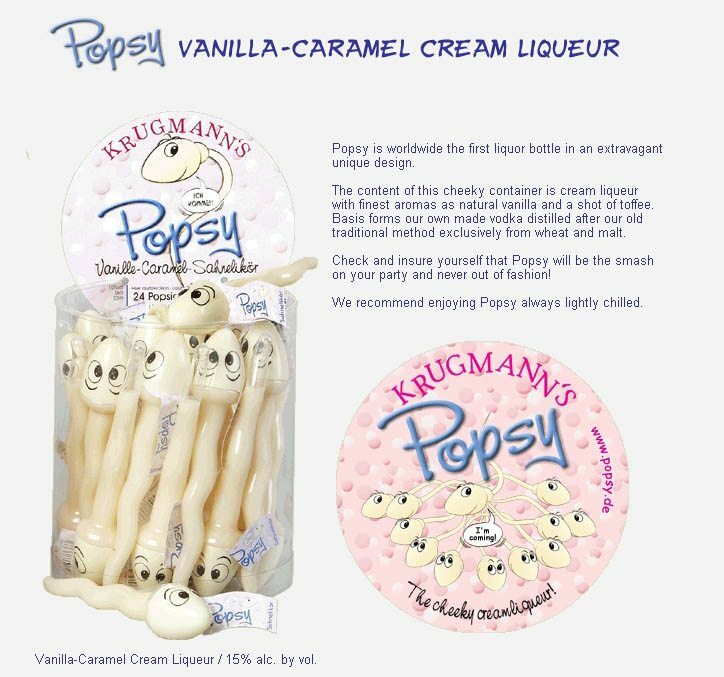 Within the same week, TTB approved a line of ice cream products, with about as much alcohol content as a light beer. 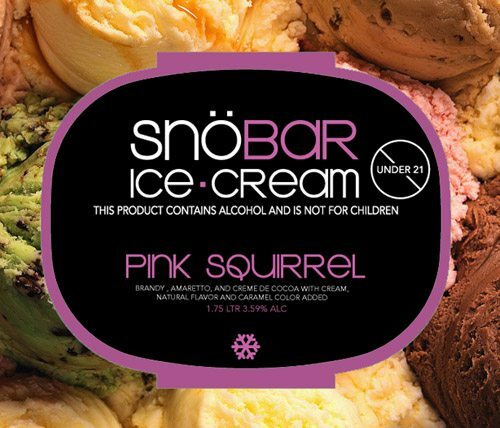 snoBaR is made by Brothers International Desserts, of Irvine, California. Brothers seems to be mainly an ice cream company, more than a spirits company. So far, Brothers has approvals for Pink Squirrel (with brandy and amaretto, as above), Grasshopper (with brandy and creme de menthe), and Brandy Alexander (with brandy and creme de cocoa). All of them are about 4% alc./vol. — a fair amount more than the rum raisin ice creams of an earlier era. Baskin-Robbins tends to suggest that their Rum Raisin is made with little if any rum, while Häagen-Dazs suggests that at least a little rum is used. 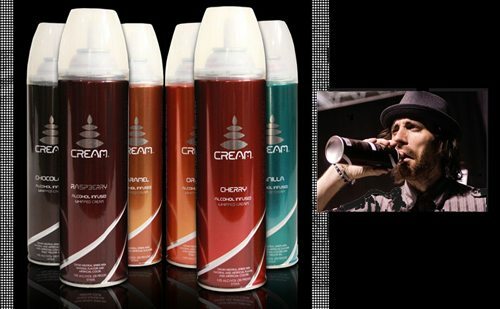 Whipahol must be doing well, because now along comes another “Alcohol Infused Whipped Cream.” It apparently is packed in an aerosol can. 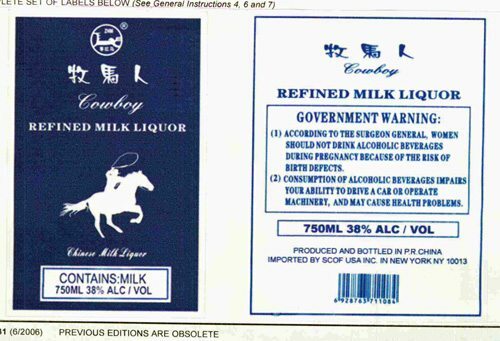 The back label says “CREAM is completely shelf stable and DOES NOT need to be refrigerated even after use.” The qualifications suggest that TTB wanted to check out this claim. This is canned by Temperance Distilling Company in Temperance, Michigan. For other advances in things whipped, there is Pinnacle Whipped – Whipped Cream Flavored Vodka. November 30, 2010 Update: here is a good CNBC clip on Whipahol, from yesterday. It is hard to believe that this light and frothy product can be portrayed as something sinister, and whipped up into the next “controversy in a can.” December 8, 2010 Update: the whipped booze products get so very much attention (including our extensive on-air interview with CBS radio) that TTB issues a statement, to explain how such products are regulated. 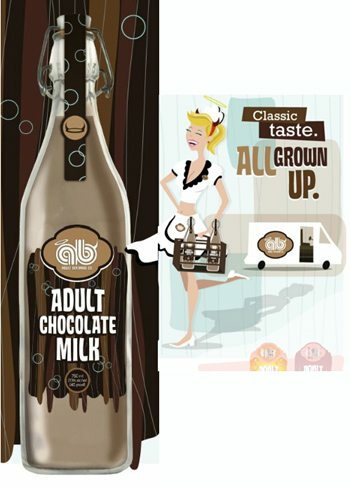 Tags: dairy, ingredients, would you drink it?